Enjoy the crisp aroma of the tea tree oil, a strong topical skin solution that Australian aborigines have been using for centuries. The Health Ranger's 100% Organic Tea Tree oil is ideal on blemishes, skin tags and scalp irritations. Due to the wealth of benefits it offers, tea tree oil is considered by many to be an extraordinary skin rejuvenation solution. 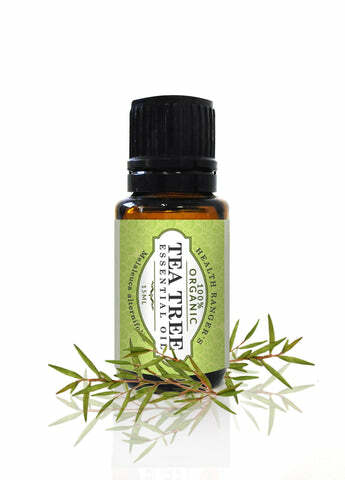 Tea tree oil is also used to help freshen and purify the air in your home. The Health Ranger's Organic Tea Tree Oil is sourced directly from Australia and is laboratory validated for purity and cleanliness. Caution: Possible skin sensitivity. Keep out of reach of children. If pregnant or under a doctor's care, consult your physician. Avoid contact with eyes, inner ears and sensitive areas.